The Kingspan OPTIM-R Flooring System, Kingspan Thermaroof TR27 LPC/FM and Thermataper TT47 LPC/FM have been installed in floor and roof constructions as part of the multi award-winning transformation of The Piece Hall in Halifax. Externally, heritage roofing experts — Ploughcroft — oversaw the sensitive restoration of the building’s roof. This required over 10,000 tiles to be carefully checked and, where necessary, repaired. As part of this work, Kingspan Thermaroof TR27 LPC/FM was applied to certain areas of the original building roof whilst Kingspan Thermataper TT47 LPC/FM was fitted on the flat roof of the new Central Library and Archives – providing drainage and insulation in a single solution. Both Kingspan roof insulation solutions have been LPCB approved to LPS 1181: Part 1 and are FM approved for Class 1 steel deck roof assemblies. The Green Guide A rated boards, produced at Kingspan Insulation’s Herefordshire and North Yorkshire manufacturing facilities are certified to the demanding BES 6001 responsible sourcing standard. 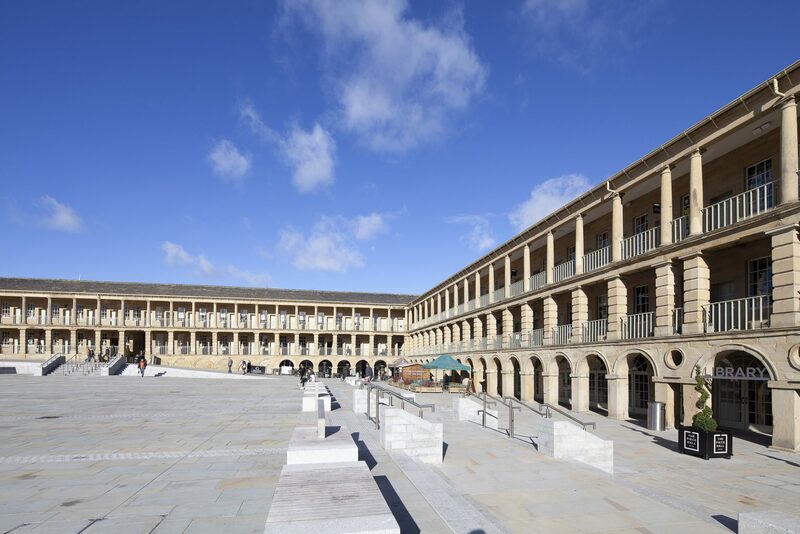 The transformed Piece Hall reopened on 1 August 2017 (Yorkshire Day) and has since attracted footfall of over 2.4 million, is making a major contribution to the regeneration of Halifax and beyond, and putting Calderdale on the map nationally and internationally.